opp bag, plastic tube pack, zipbag etc. More customized packing like hangtag available. 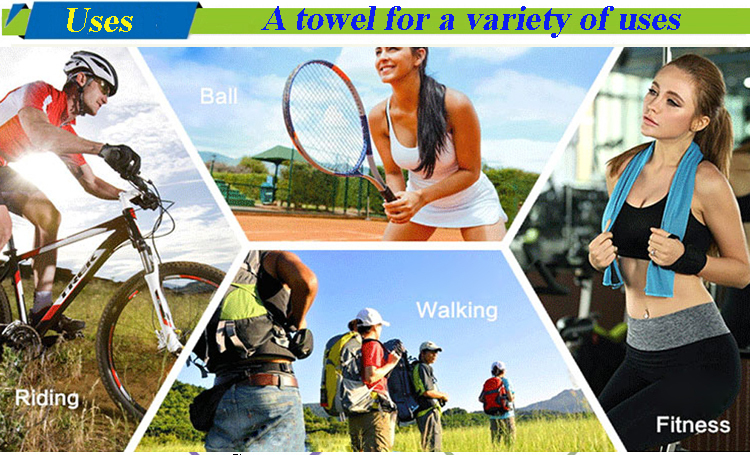 1 Sports cooling towel, hair drying towel, bath towel, pets towel etc. 2 Household cleaning, car cleaning, glass/furniture/machine cleaning, etc. 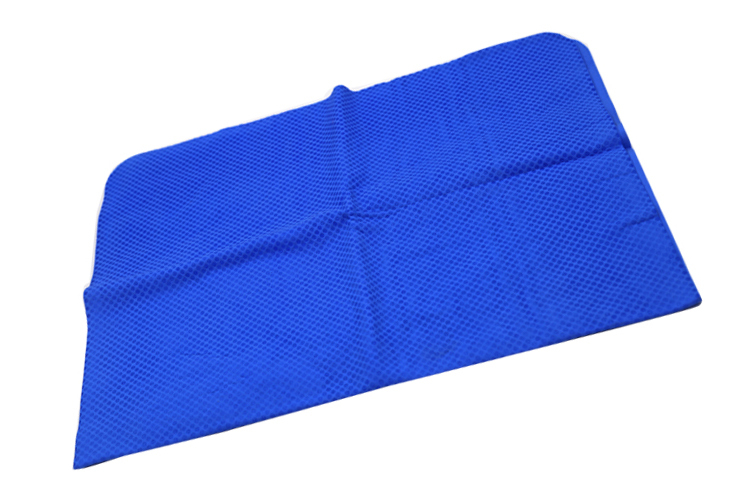 Our PVA Sports & Cooling Towels are eco-friendly and skin-friendly, with special anti-bacterial and fungus-resistant treatment, easy to use and carry. Best choice for summer outdoor cooling. Instant cooling, cooling function makes your summer easy. 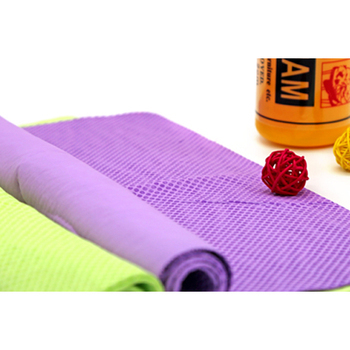 Super water absorption, cooling towel absorbs water or liquids eight times its own weight. 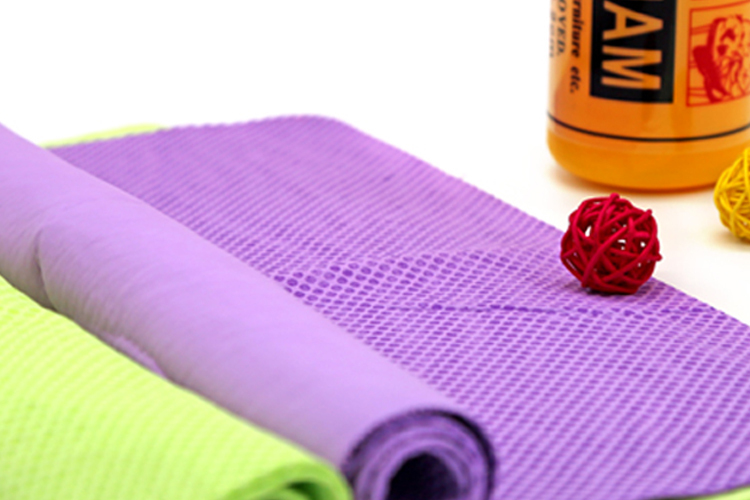 Prevent heatstroke, can be used in sports, leisure activities, hot working environment etc. Efficiently remove water and sweat, no water spots left. Harden after use (twist the towel), good restrain to bacteria. Wipe without leaving water marks and lint free. Hardening when dry to restrain the bacteria growing after use, while softening by dipping into water for 5-10 seconds when reuse. If you have your own designs, please feel free to contact us. 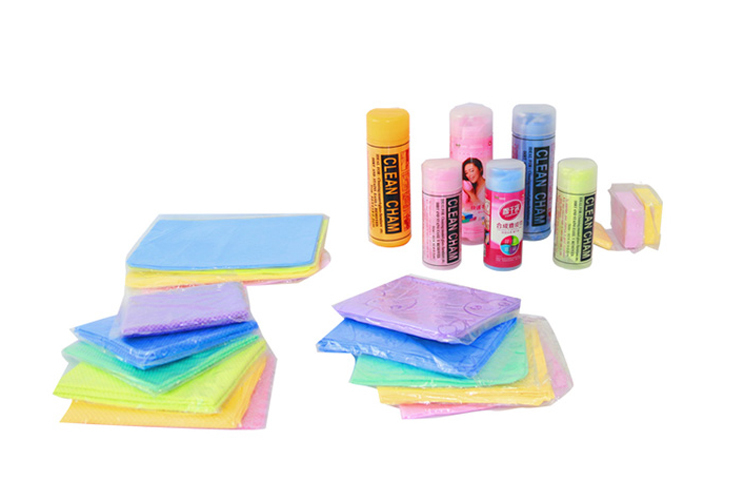 And there are more product series of PVA towels & PVA sponges you may like. Please click the pictures below. We insist “Quality is soul of the enterprise”. Strict quality control system runs throughout the entire producing process. With the features of "attractive in appearance, reliable in quality & competitive in price", our products have been exported to over 20 countries in Europe, North America, and Asia etc. We sincerely hope to cooperate with distinguished customers all over the world. 1. Standard export carton pack. Customized packing as your request. 2. Professional cooprative forwarders, make sure fast and safe transportation. 3. Loading Ports are shanghai port and ningbo port. 4. Deliver by sea or by air. 5. Delivery time is about 15-20 days. Q1: What is your terms of packing? First, the towel is packed into self-adhesive plain polybag. And then, as customer requires, zip-lock bag, plastic tube etc. Q2: What is your terms of payment? T/T, 30% as deposit, and 70% balance paid before shipping against copy of B/L. Packing and loading photos of the products will be sent to you too. Q3: What is your terms of delivery? A: EXW, FOB, CFR, CIF. Q4: How about your delivery time? A: Generally, 25-30 days after deposit. Delivery time depends on the items and the quantity of order. Q5: Can you produce according to our sample and packing? A: Yes, OEM service are ok, to match your specific requirements. Q6: What is your sample policy? Samples are free if any stocks, customers only need to pay for delivery. New samples will be charged for mould fees, which will be returned when you place orders. Q7: Do you inspect all your goods before delivery? A: Yes, we have 100% inspection before delivery. Q8: How do you make our business long-term and good relationship? 1. Quality and services are the culture of our enterprise. 2. We guarantee that every customer's business information is confidental to any third party. 3. Refund if delay to delivery or quality issues. 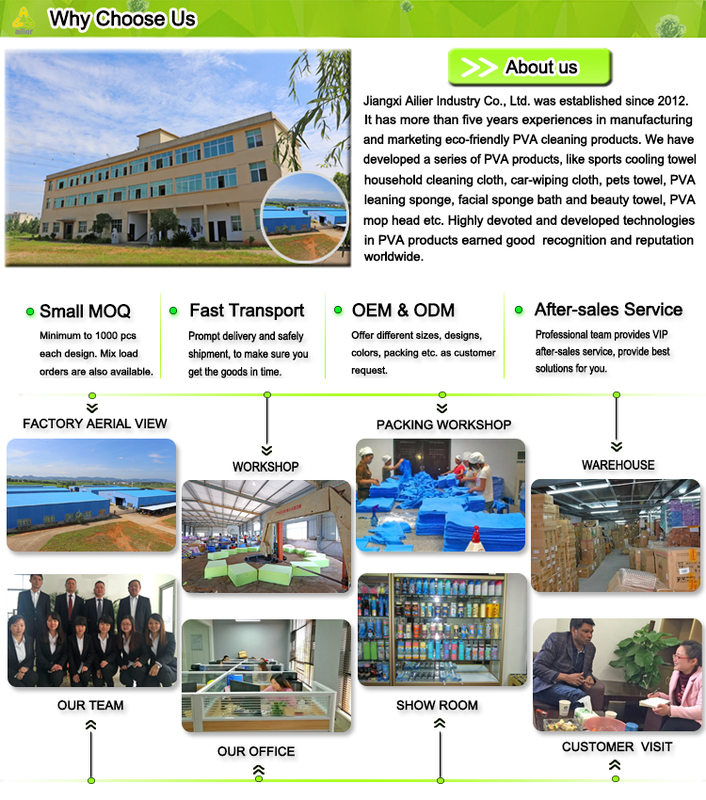 Jiangxi Ailier Industry Co., Ltd. The supplier’s transactions conducted via Alibaba.com in the past 6 months.